The reasons why every golfer needs specialist golf insurance cover are reiterated in the latest programme of Channel 4’s acclaimed documentary 24 hours in A&E. The programme, aired on January 20, tells the story of retired firefighter John Willoughby, 53, who was accidentally struck in the face by a golf club at Deangate Ridge golf course in Kent. 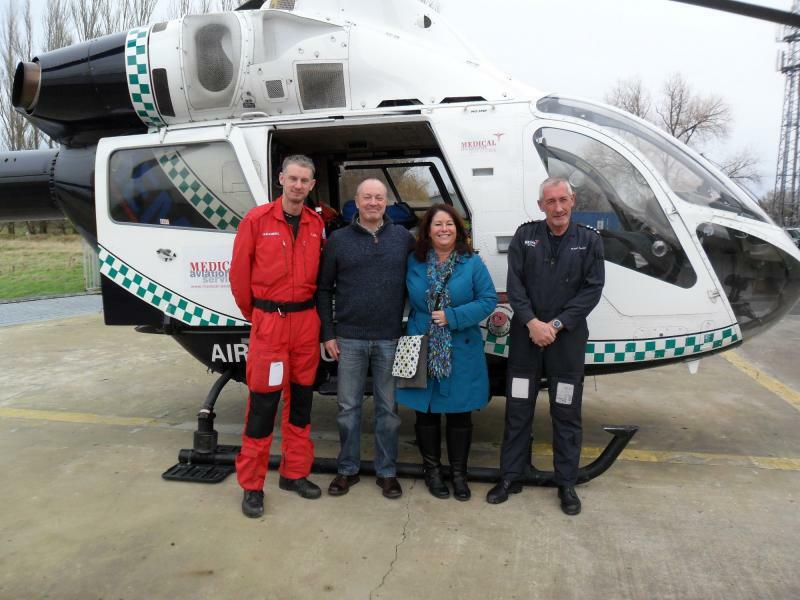 The club hit John so hard that it snapped and he had to be given emergency treatment at the scene by Kent, Surrey & Sussex Air Ambulance’s doctor and paramedic. The golfer was put in an induced coma to prevent his brain from further injury before being flown by the charity helicopter to St George’s Hospital in London following the incident in June. The programme shows the father-of-two arriving at the specialist neurological unit where he was sent straight for a CT scan with a suspected critical head injury. “Whenever someone comes by helicopter you already know it’s time critical. Every second counts, you don’t get a second chance,” said orthopaedic doctor Arash on the programme. John’s wife Allison is filmed by his side throughout the ordeal. She said: “John was in the fire brigade for 32 years. He loved the adrenaline, the excitement of what was going to happen next. To see what happens to John watch 24 Hours in A&E here. All golfers, regardless of ability, run the risk of injuring another person whilst out playing golf. Every year over 12,400 golf injuries require hospital treatment and millions of pounds worth of golfing equipment is stolen. So it’s surprising to hear independent research claims that 9 out of 10 golfers have insufficient golf insurance. Our policies provide reliable ‘New For Old’ cover against theft, loss or damage to your golfing equipment, damage to property, personal injury and personal liability. The fact is, golf can be a very expensive game if it goes wrong and you don’t have the correct insurance. The more often you play, the greater the risk! I have read numerous memo regarding injuries sustained while playing golf and agree entirely that all golfers should have some king of insurance. It would be beneficial to all golfers, if the club they are members, could in clued insurance with their annual green fees. This would enable all golfers to have pace of mind.